Tour the best Peru has to offer on this 16 day holiday traveling along the desert coast, up to the altiplano and down to jungle clad ruins. From your first sip of a Pisco Sour to your last cup of corn chicha, you're sure to be charmed by the smiles, laughter and generosity of this Andean country. 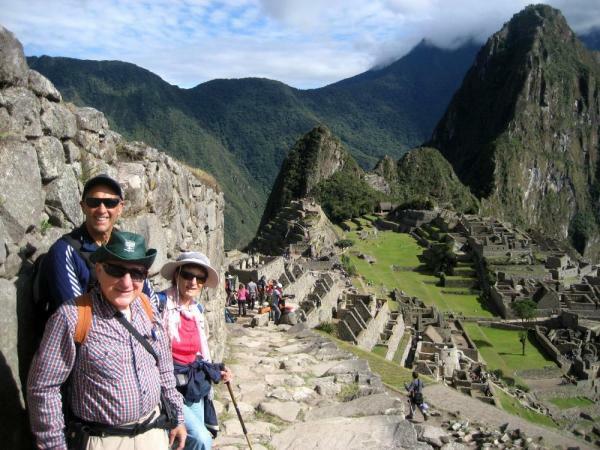 This tour of Peru includes the countries greatest highlights -- the Nazca Lines, Colca Canyon, the islands of Lake Titicaca, and the Lost City of the Incas, Machu Picchu. The morning is free to wander around Miraflores and explore Colonial Lima. In the afternoon you'll catch a bus to the beach town of Paracas (4 hour bus ride), where the desert meets the ocean. 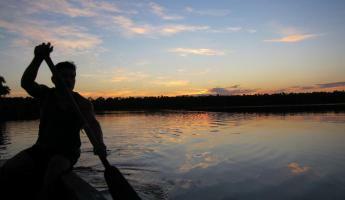 Transfer to your hotel and enjoy the beautiful sunset over the sands of southwestern Peru. 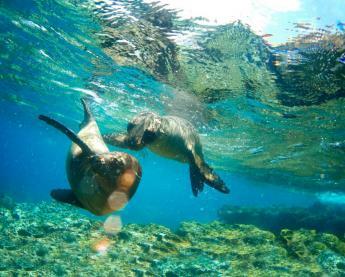 Referred to as a Little Galapagos, this morning you'll depart by boat to the Ballestas Islands. Sea lion colonies lounge on the rocks and thousands of sea birds (such as Guanay Cormorants and Peruvian Boobies) circle overhead and strut along the rocky shoreline. After your island visit, it's off to the giant sand dunes of Paracas National Reserve for a bit of hiking. In the afternoon, bus to Nazca (4 hour bus ride). Since their discovery 70 years ago, these puzzling drawings in the earth have intrigued visitors and scientists. 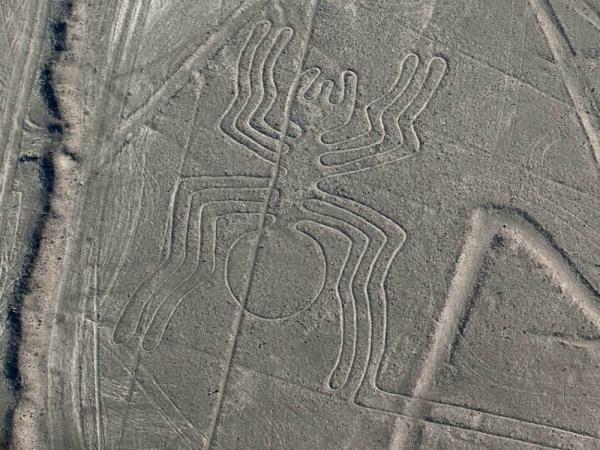 To get a bird's-eye view of the Nazca lines, take a short flight this morning. Afterwards, it's off to Chauchilla cemetery where thousand-year-old mummies lie in the open, and ancient bones and pottery shards litter the ground - an archeologists playground! This evening, take an overnight bus trip to Arequipa (8 hour trip on a bus with reclining "sleeper" seats). Located 7750 feet above sea level and surrounded by snowy peaks, Arequipa delights visitors with its colonial charm and friendly inhabitants. Visit the Santa Catalina Monastery (a 4.5 acre maze of gardens, plazas, and churches in the town center), people watch in the main plaza or just relax in the colonial hotel. As rich in history as the Cusco area, Colca's pre-Inca terraces rise straight up the canyon and ancient tombs can be found perched on vertical canyon walls. You'll leave Arequipa early this morning for the deepest canyon in the world. The drive takes you back in time, past herds of llamas and alpacas and through 400-year old colonial towns where residents raise potatoes and tend sheep according to the rising and setting of the sun. During your two nights in the canyon at the Colca Lodge take ample time to relax in the hot springs! One morning you'll head to the Cruz del Condor where you'll have your best chance to see the Andean condor. 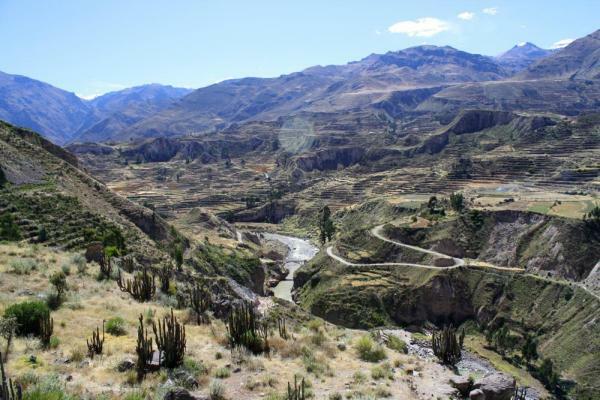 In the afternoon you'll walk along the canyon edge to the pueblo of Cabanaconde for a taste of village life in the Colca. 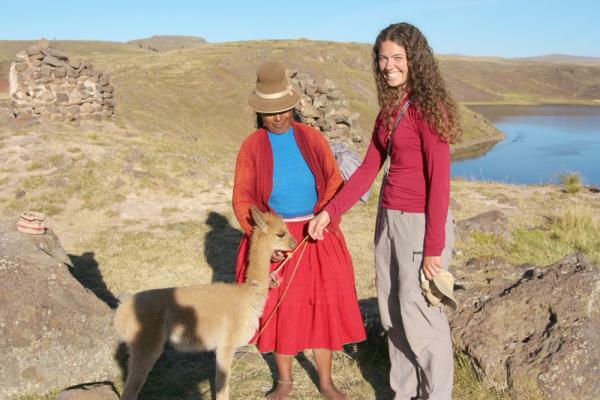 An optional one-night homestay on Day 2 with a local family is available for travelers wanting to experience the daily and communal life in a Peruvian village. 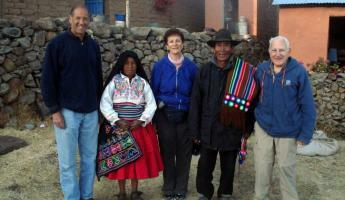 Travelers will return to the Colca Lodge for the night of Day 7. 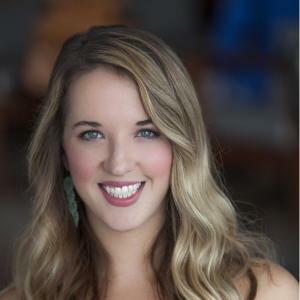 Click here for homestay details. After breakfast transfer to Puno on the shores of Lake Titicaca (approximately 5-6 hours). 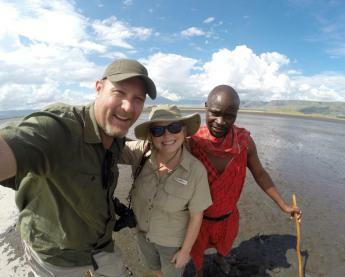 Feel free to make short stops for photos and village visits along the way. Arrive at mystical Lake Titicaca in the early afternoon. Legend has it that the first Inca rose out of its azure waters. Transfer to your hotel and explore on your own this afternoon. Depart this morning with your guide to thet the floating islands of the Uros people. 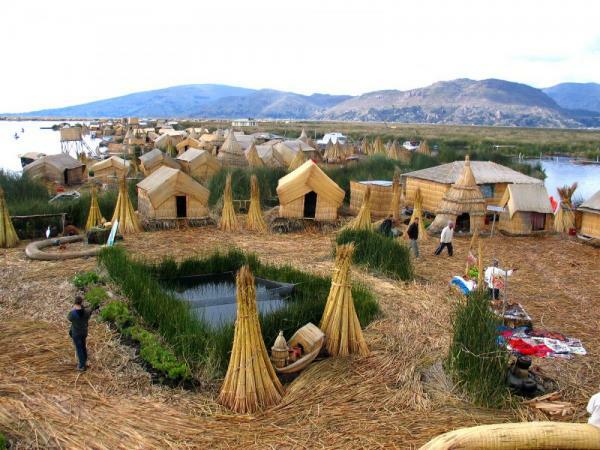 Peru's floating islands are built using the buoyant totora reeds that grow along Lake Titicaca, and these reeds are interwoven to make homes, boats, and crafts. We continue to Amantani Island, a quiet island known for its hilltop ruins that honor Pachamama and Pachatata (Mother and Father Earth). Here we meet our host families whose generosity is apparent with their open arms (and open doors to their homes) and smiles. 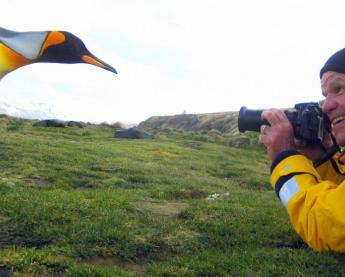 Explore this island with your guide and then settle in to share a short day in the lives of the Aymara. 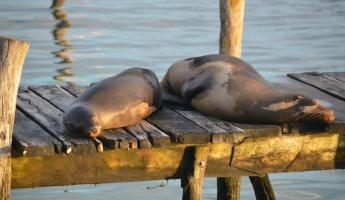 After breakfast and bidding farewell to your host family, travel to Taquile Island. Climb the steps to the plaza at the center of the island for breathtaking views of the lake and surrounding mountains. In the afternoon, return to Puno and relax this evening on the shores of Lake Titicaca. A luxury-class bus takes us from Puno to Cusco. Along the way, enjoy optional visits to the "Sistine Chapel" of Peru and a pre-Incan site, as well as a huge lunch featuring traditional Peruvian cuisine. 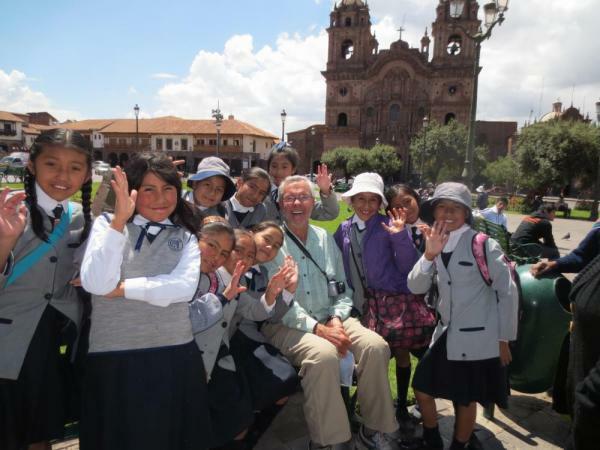 Arrive in Cusco in the early afteroon and enjoy the rest of the day! You'll test your bargaining skills with the locals while visiting one of the great textile markets in the area. You may hike to the inspiring ruins of Pisac, or take a short walk through the countryside to the seldom-visited town of Maras and its pre-Columbian salt mines (still in use today with salt being collected in traditional fashion) as well as the Inca agricultural terraces of Moray, thought to have been a nursery to experiment with and modify different varieties of crops. Eventually, you will make your way to the living Inca city of Ollantaytambo where you can relax for the night. Relax in front of a fire in the shadow of one of the great Inca citadels. Today is free to relax and explore with your guide or on your own. Travelers can go on a city tour of the churches and surrounding ruins, such as the enormous Sacsayhuamán ruins that overlook Cusco (these ruins showcase building blocks the size of SUVs). You can also wander through the bustling Plaza de Armas in the heart of Cusco, shop for love potions in the local markets, or people watch from the cafes and restaurants that line these lovely streets. 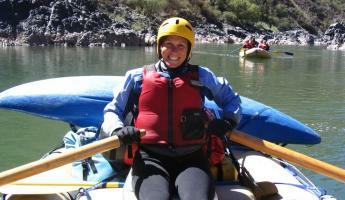 For those bursting with energy, horseback riding, mountain biking, or even whitewater rafting (Class III-IV) can be arranged. 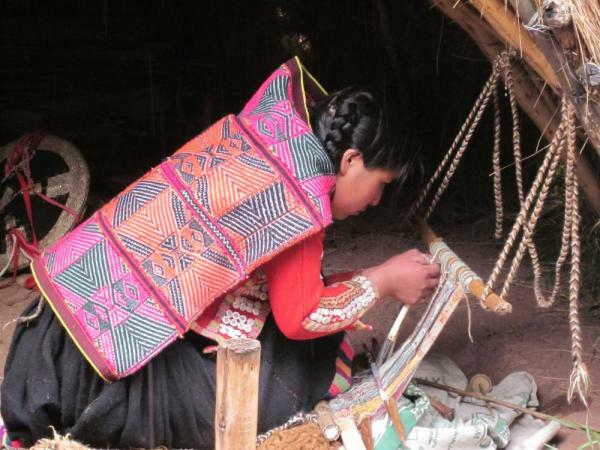 Travelers will also have the opportunity to visit the Center for Traditional Textiles in Cusco, a local organization committed to preserving the region's weaving traditions. 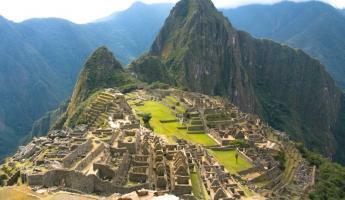 (If visiting the Sacred Valley on Sunday, you will visit their center in Chinchero instead). Watch weavers demonstrate their craft and learn about the history and processes of Peru's most well-known art form.The evening is yours to take in some of Cusco's varied and exciting nightlife. La Casa De Melgar is a fine example of civil architecture of the 18th century; thick walls, curved ceilings, three patios and open hallways. The style also blends Spanish and indigenous elements. This cozy hotel is a remodeled colonial residence. The Tierra Viva Cusco Plaza Hotel is full of arches, columns and stonewalls and is an extension of Cusco's historical center. It offers 20 rooms, an indoor patio, various sitting rooms and a business center. Experience Cusco's history during your stay at the luxurious hotel Casa Cartagena. This boutique hotel has 16 suites surrounded by beautiful Spanish patios blending time and tradition into serene hospitality. Casa Cartagena is located in one of the most elegant neighborhoods of Cusco surrounded by beautiful Andean landscapes. Hotel Majoro started as a villa in the early 1600s. In 2005 it was restored into a more modern hotel with 60 acres of land, a pool, a bar and a restaurant. There are also seven different room options for you to choose during your stay in Nazca, Peru. Nuevo Cantalloc is located about three kilometers outside of the city of Nazca, in the way of the road of Cusco, very close to the rectangular geoglyphs with the acute angle in direction of the Cerro Blanco, the highest dune of South America. 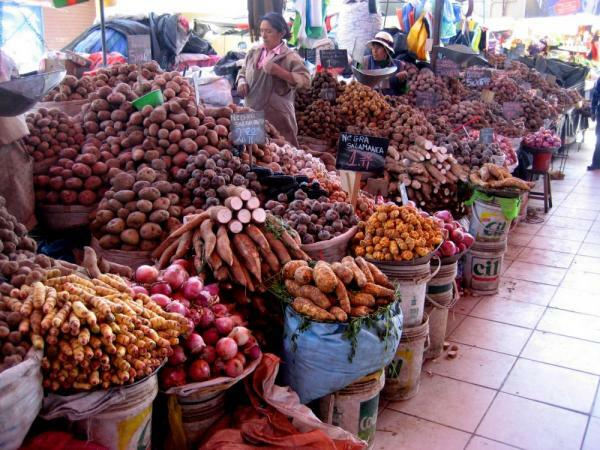 Located on the coast south of Lima, Pisco originally prospered because of its nearby vineyards. The town eventually gave its name to Peru's Brandy which was later used as the most important ingredient of the world - famed "Pisco Sour". Located on the edge of Paracas Bay and surrounded by the Paracas National Reserve, La Hacienda welcomes guests into a refuge of peace and tranquility. With spacious accommodations, a spectacular swimming pool, numerous dining options and marvelous views of the bay, guests will enjoy the beauty and hospitality of La Hacienda. Welcome to beautiful Paracas Beach and the Hilton Paracas hotel. Spacious, modern and luxurious Hilton Paracas offers suite accommodations near one of the most interesting and richest ecosystems in the world, the desert peninsula of Paracas on the south coast of Peru encompasses Paracas National Reserve. The Hotel Hacienda Plaza de Armas is a unique destination with no obstructed views of Puno and immediate access to all the shops in the city, restaurants and bars. Aranwa Sacred Valley Hotel is built on a seventeenth century colonial hacienda by the Vilcanota River, just one hour away from the city of Cusco and on the route to Machu Picchu. The hotel offers rooms decorated in colonial style as well as other modern minimalist decor.